When I sat down to write this post last night, I thought about the photo on my phone. 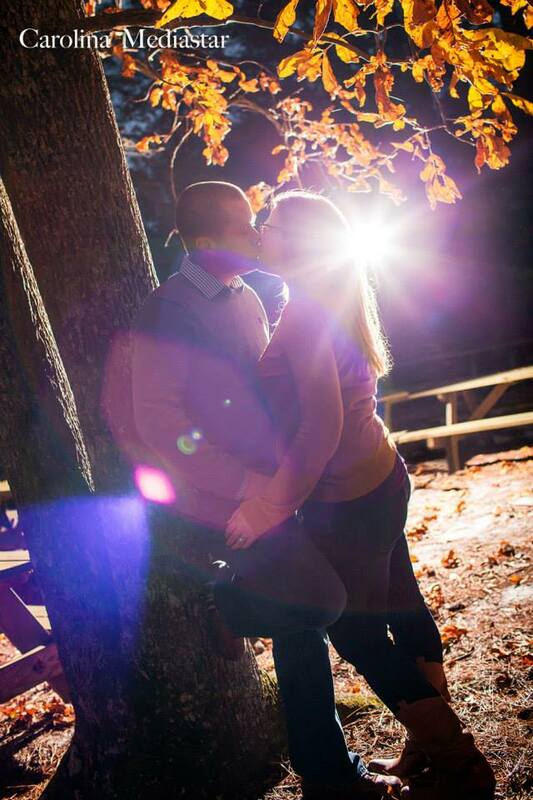 It's from our redo engagement photo session with Carolina Media Star. I was 28, he was 31. We'd been married for about two months at that time. We weren't really young, but man has a lot changed since then. I graduated grad school. I've had one job change, he's had two. We built a house and moved to Durham. Heck, we went to Alaska! And now we have a baby on the way. I've heard people say that you love your husband in a whole new way when you see them as a father. And I get that, because I can see it some even now. Don't get me wrong, he's still Aaron. He still tells inappropriate jokes and reminds me all the time why I can never be in politics. But at the same time, he's happy to go look at cribs with me. He's excited and terrified, just like me. And sometimes he looks at me and says really sweet things like, "You're so cute pregnant." Which is nice, cause I don't always feel cute. Four years seems like a short amount of time. January will actually be seven years (including dating) and doesn't include the first time we dated and tried to kill each other for four months. Compared to both of our parents, it seems like a drop in the bucket, and yet, I can't imagine life without him. At this point, I'd probably start crying thinking about it because it really doesn't take much these days. But Aaron's the one that can make my terrible, horrible, no good, very bad day okay in about five minutes flat with some irreverent joke or stupid video online. He's also the one that wants to name my child Paul Walker Zinn if we have a boy. For those that aren't obsessed with him, he's an actor that was in Fast and Furious annnnnd in She's All That (the 2000's seriously made the best teen movies!). Needless to say, that won't happen. Here's to four awesome years. Here's to the most amazing and crazy adventure in year five and a lifetime to go. Happy anniversary babe. Happy anniversary!! It's a worthwhile ride! You'll totally survive and rock parenting! Thanks Mary Leigh! I hope so!